Nolan, J. (2005). [e-Book] Interpretation: Techniques and Exercises. Clevedon, Multilingual Maters, 2005. Over recent decades the explosive growth of globalization and regional integration has fueled parallel growth in multi-lingual conferences. 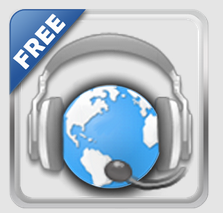 Although conference interpreting has come of age as a profession, interpreter training programs have had varied success, pointing to the need for an instructional manual which covers the subject comprehensively. This book seeks to fill that need by providing a structured syllabus and an overview of interpretation accompanied by exercises, developed for the classroom, in the main aspects of the art. 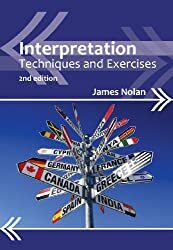 It is meant to serve as a practical guide for interpreters and as a complement to interpreter training programs, particularly those for students preparing for conference interpreting in international governmental and business settings.It is assumed students have mastered their active and passive working languages and the fundamentals of translation. Those exercises which deal with lexicon focus on expanding the student’s range of expression in order to build vocabulary to the level needed for conference interpreting. The texts used in the exercises have been selected both to illustrate various aspects of translation and interpretation and to introduce the student to the wide range of topics and perspectives that arise in the international fora where conference interpreters work.